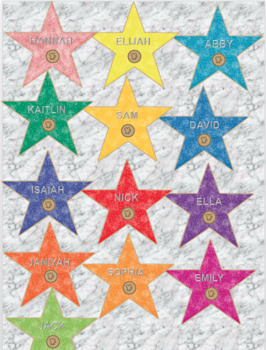 Make each of your kids a star for your Hollywood or movie theme classroom! This product is ready to edit in Powerpoint. 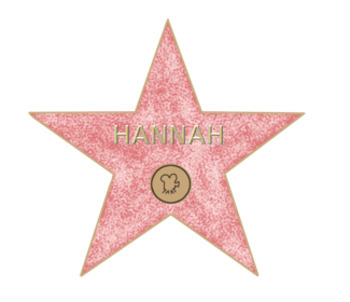 Separate png stars are also included in the zip file. 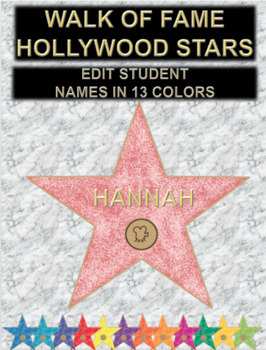 These can be used in any program, but you will have to create your own text boxes to put the names in. 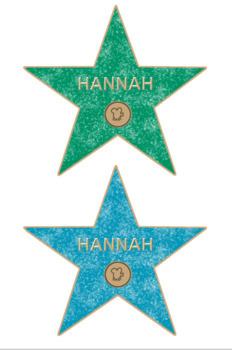 I can also create custom stars with any design for the center, or put in a school logo. Purchase includes use for one teacher per purchase.